The Santa Barbara Coroner’s Bureau has publicly released its preliminary findings in the investigation of the death of 19-year-old UCSB water polo player Nicholas Johnson, who was found unresponsive by fellow swimmers at the bottom of the Santa Barbara High School pool during a joint practice session Monday morning. Calling Johnson’s death an “accidental drowning,” a spokesperson for the Sheriff’s Office (which oversees the Coroner’s Bureau) said an autopsy was performed Wednesday, but the results of a toxicology report are pending and won’t be released for another two weeks. No other details on the autopsy were released. Johnson, a Santa Barbara High School graduate and sophomore psychology major at UCSB, was swimming laps at the time of the incident. It’s not known what caused him to lose consciousness, and it’s unclear how long we was on the bottom of the pool before he was noticed. Three high school swimmers pulled him from the water and administered CPR before an ambulance rushed him to Cottage Hospital. He was declared dead soon after. Initial media reports claimed Johnson had suffered a seizure, but that has not been verified. At the request of the Johnson family, the Santa Barbara High School Aquatics Booster Club has placed a link on its website to donate to the Nick Johnson Memorial Fund, which will help support the high school’s aquatics program. 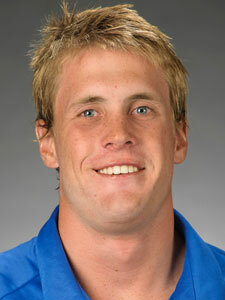 In the wake of Johnson’s death, UCSB water polo coach Wolf Wigo issued a statement. “Nick was the best kid, hardest working kid, a first-class person and a wonderful student and brother to his teammates,” Wigo said. “I was lucky enough to be his first coach, and along with everyone in the UCSB family and water polo community, I will miss him greatly.” Johnson had four goals and six assists for the UCSB water polo team during its 2013 season. And on Thursday, Santa Barbara High School swim coach Mark Walsh offered this statement to The Independent: “Nick will not be remembered for a goal he scored, a pass he made, or a center he shut down. Nick’s lasting memories are far more reaching. His display of relentless hard work made lasting work ethic changes in the athletes in his class and the classes behind him. So, years later, when you see a kid jump in the pool first or a kid push himself to his limit, you can see a piece of Nick. “I thought so highly of Nick as a person and a role model, I had him coaching our frosh-soph players before he had graduated high school. If I was ever in need of help to coach or run a tournament, I thought of Nick first.